Foreigner in Montreal or Quebec City? Inform me about the next events for Foreigner. Enroll yourself to our priority waiting list for Foreigner to be alerted when new tickets are available. Filling this form doesn't engage you to any purchase. 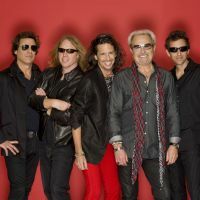 Foreigner will be making an appearance in our fair city very soon. Are you currently looking for tickets ? Well 514-Tickets has what you are looking for. 514-Tickets is a ticket broker specializing in entertainment tickets of all kinds. Our large inventory allows us to offer you tickets in many venues across Quebec. Whether it’s the Bell Centre, the Étoile Banque Nationale in Brossard or the St-Denis Theatre, our team will help you find the perfect concert, show or sporting event. We will make your buying experience exceptional. Our sales team will be happy to answer all of your questions , simply call 514-245-5387. Each purchase with our company is covered by our 100% satisfaction guarantee. In addition, we will send your tickets to you via express poste to make sure you receive your tickets safely and on time for your event.